It’s shocking, yet possible. Thanks to special techniques that enhance a patient’s recovery after surgery, women can now undergo major surgeries – such as a mastectomy and immediate implant breast reconstruction – and return home the same day. The procedure used by Temple-Oberle and her team is based on a model used for colorectal surgeries, which was adapted for breast reconstruction. “Most of the women we approached were quite keen about the idea,” she says. Patients who undergo the enhanced recovery method with same day discharge must be in good health and live within an hour of Calgary, should complications arise. During the operation, an anaesthesiologist (like Dr. Jeremy Hamming, who works with Temple-Oberle) may use a combination of medications like intravenous anaesthetic, epidurals and local anaesthetics. Using these agents helps limit the patient’s pain response and avoid the use of volatile gas, which can increase post-operative nausea. With the positive results they’ve seen, Temple-Oberle and her team have been asked to be the international leads, developing guidelines on the procedure for the Enhanced Recovery After Surgery Society. “We’ve established a team of plastic surgeons and anaesthesiologists from around the world to provide expertise on the method,” she says. “From this, we’ll publish what we suggest are the best practices and recommendations for these types of reconstructive surgeries. On October 21, breast cancer patients and their supporters are invited to learn more about breast reconstruction and other available options. In Calgary, the event will take place at the Alberta Children’s Hospital from 5:30 to 8:30 p.m., providing a wide variety of learning opportunities. 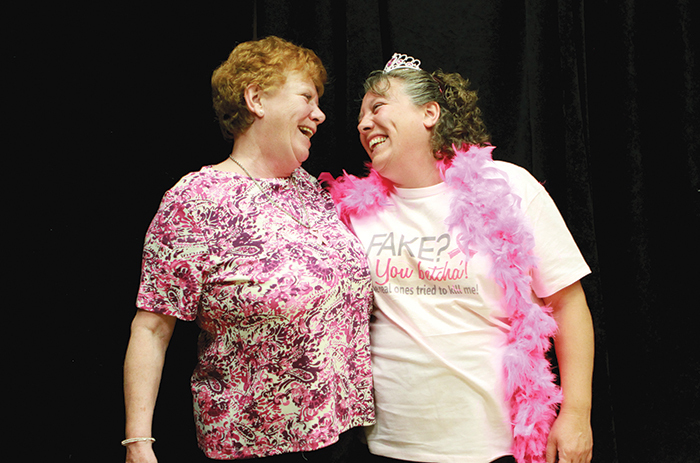 This year’s activities will include a show and tell, where peer volunteers provide mastectomy patients and their support people the opportunity to see and talk about reconstruction. Other activities will include a mock operating room, a body casting area, lectures and exercise options.